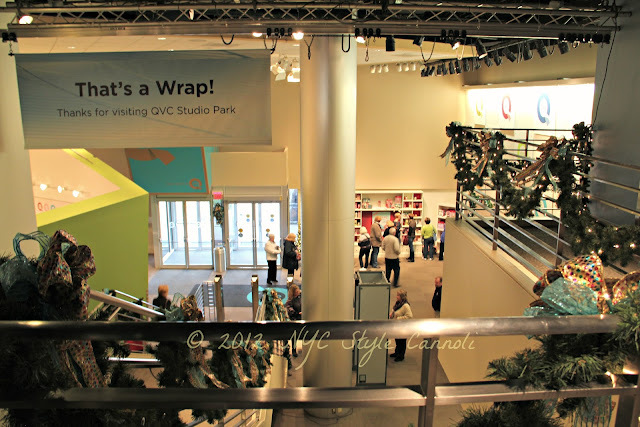 So I don't know if you were aware, but QVC offers tours of their studio where they film 24 hours a day, except Christmas Day. 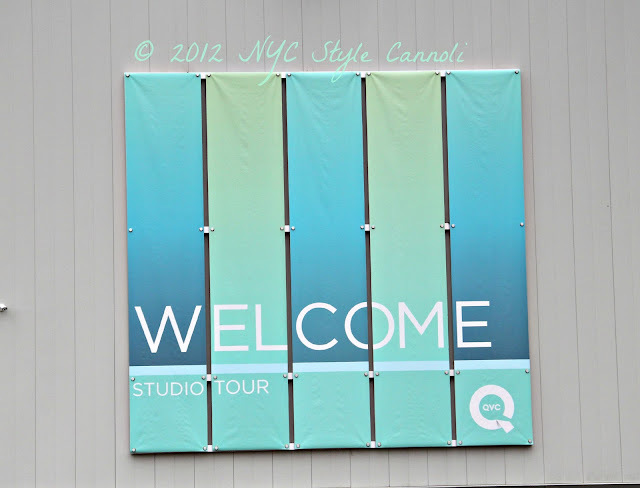 We took the tour in December, my 2nd time actually, but it has been a long while. 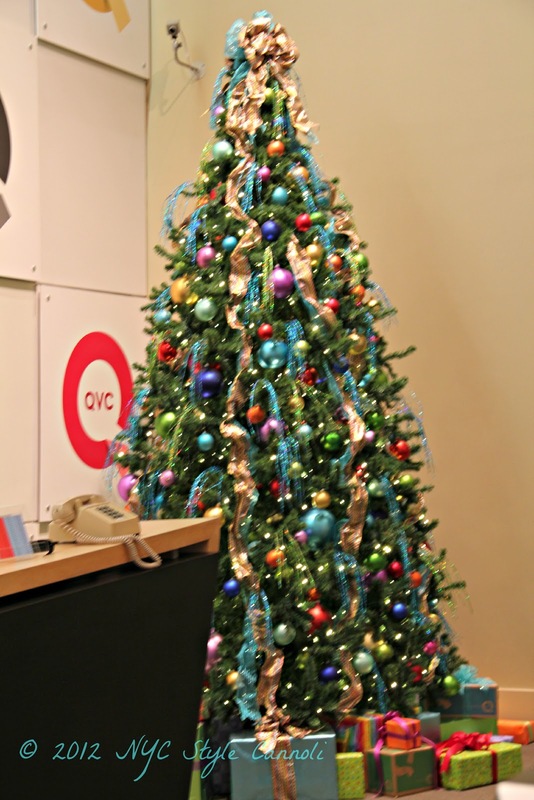 Their lobby was decorated quite lovely with holiday trim, this tree was gorgeous! QVC is not only in the USA but also Japan, UK, Germany, Milan (not 24 hours in Italy) and signed a deal with the China National Radio in July 2012. They have 3 call centers on the East Coast, as do not take calls at Studio Park where they film their shows. 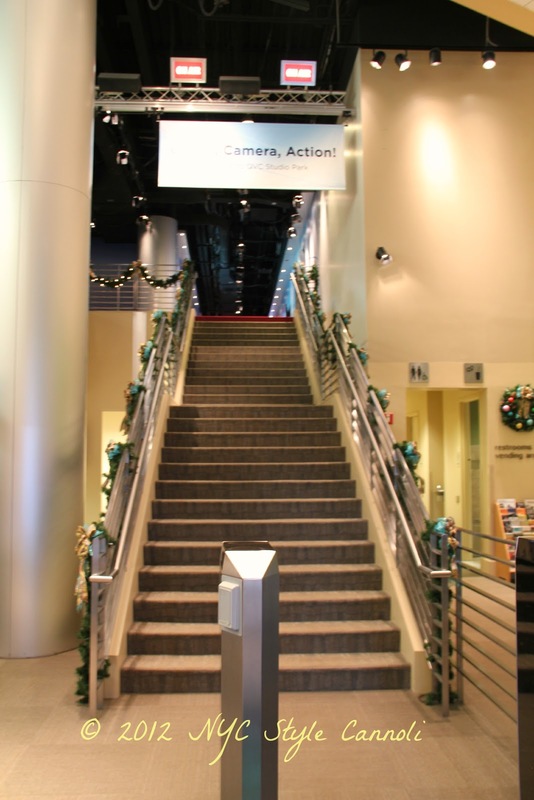 Up these stairs is where your tour begins. Photography was quite limited so I took what was allowed. We were shown some videos, a live bloopers which was pretty funny as they have no delay whatsoever during a show. They have 26 show hosts that require a 6 month training period. 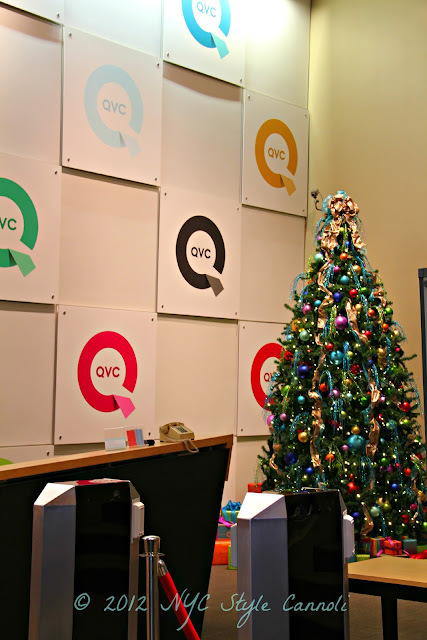 QVC started in 1986, and my family probably starting purchasing from them from the very beginning. They have come a long way from their original broadcasts. 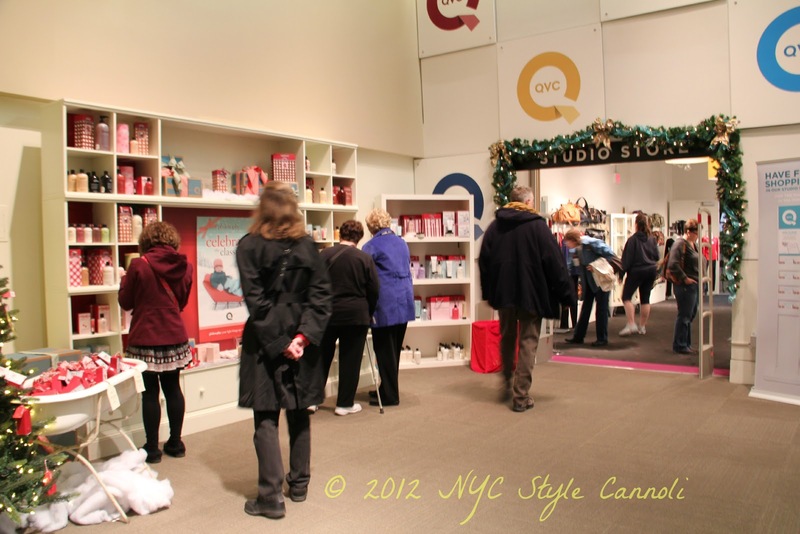 This is the QVC store which you are allowed to shop at the end of the tour. The prices were the same as what you see on tv however it was very disorganized and quite a chore to shop. Probably my least favorite stop in the day. They have a very high tech way of selling these days. Everything is tracked to what is selling at what time and what the hosts do to make folks pick up that phone and order. In 10 days, during the holiday season when we visited, they shipped 5.4 million packages. Chaz Dean was there the day we visited selling his hair care line. QVC stores over 324,000 products at their main location, Studio Park, for demonstrating in the shows. The sheer numbers they talk about just really blow your mind away. The tour was pretty good, when I toured before it was the old building so it was neat to see the newer version. We do not watch the station as much as we used to, however, we do purchase something from time to time. 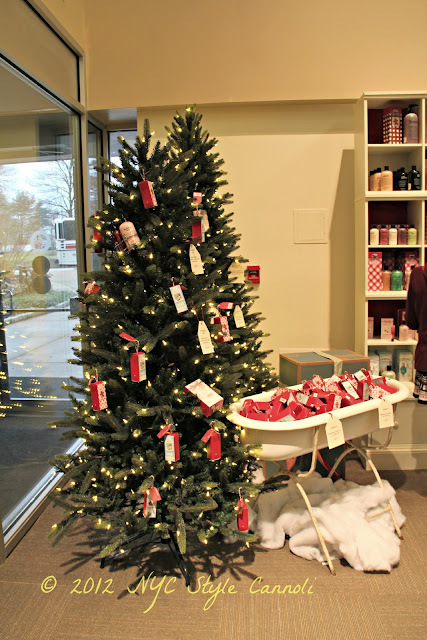 They carry great brands and you do get a better price due to the fact they purchase so many quantity to sell. They have some other tour packages which sounded pretty neat, some where you actually get to be down at filming level. 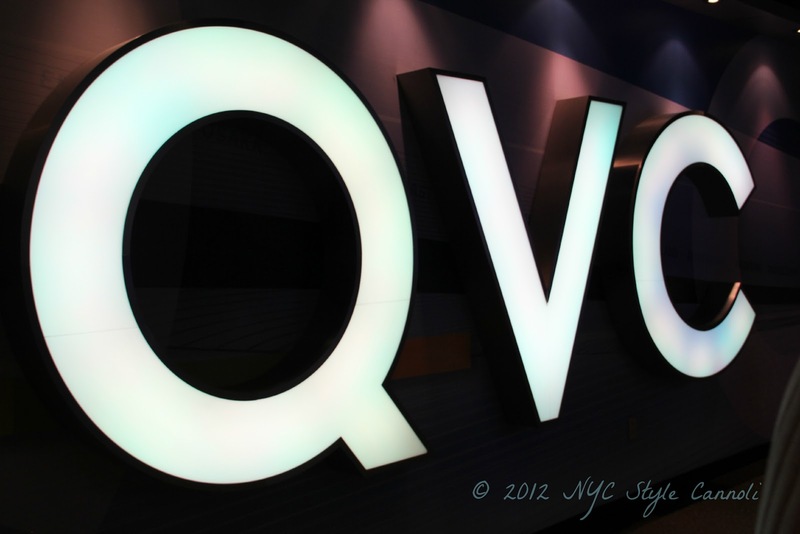 Have you purchased from QVC? Do you feel it is a good company or do you think they are taking business away from the smaller companies? I myself try to purchase from both, so I get some good deals on great products but I also help the smaller shops as well. That's amazing to ship so many packages in a ten day period. We have QVC over here in England but I haven't yet purchased anything although I have a friend who regularly shops from there. Wow! We have a QVC here in the UK. I wonder if they do tours also.